Technically, it was my four-year-old son CJ’s playdate. I was there visiting with his mom at the breakfast table, sipping water. I had just met my mommy friend the year I was writing my book Finding Spiritual Whitespace. She was asking how writing was going. I tell her it’s not easy, not like handing in homework. Not even like writing at work either. I never did enter another spelling bee after that year. It wasn’t the last time she’d tell me something about me would be a waste of time. After I finished telling my mommy friend my story, I told her that is what I have to fight every time I try to make time for me. I have to fight against voices that tell me I’m wasting time, especially mine. 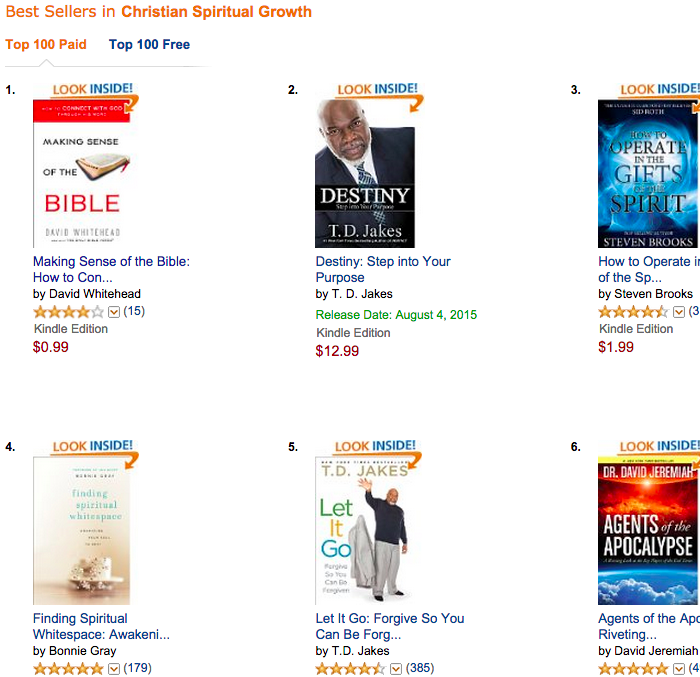 now’s the chance to gift my book Finding Spiritual Whitespace on Kindle to a friend or yourself for only $1.99! sale ends this Sat 8/8. Psst… ! 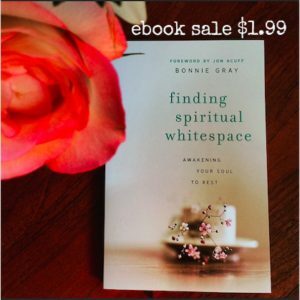 Just two more days to order the ebook for Finding Spiritual Whitespace for just $1.99. sale price ends Saturday 8/8/15. enjoy a copy yourself or gift a copy to encourage a friend! if you pick it for your fall book club, send me an email (via my contact page). i have small group guide for you to enjoy! 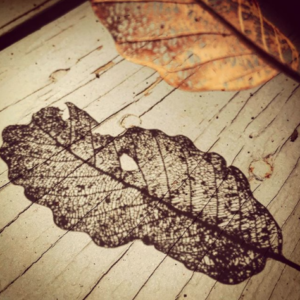 Rachael’s picture of #spiritualwhitespace in an ordinary leaf. 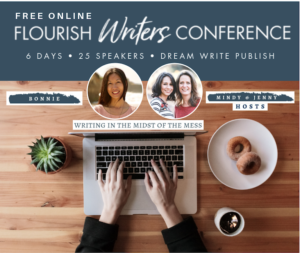 Next week’s 8/13 writing prompt: (How is God calling you to say yes?) I’m so excited about this prompt, friends! can’t wait to read. yes! jane i love how you rephrased it! the rest helps you later on as challenges come. I am growing in seeing the value of “wasting time” with my passions. It’s so hard to let that go. I grew up in a home that encouraged time spent in the arts. Somehow the world changed my mind. I’m striving to return to that. Thanks for encouraging me in this today!!! I’m excited to get your book deal today! I’ve been thinking of getting your book for a while now! what kind of arts do you love spending time on? painting? would love to hear more. and i hope to meet you in between the pages of finding spiritual whitespace. I appreciated this post today! Just what I needed! 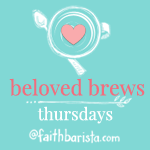 in fact, I come here often to link up and read your past posts which are ALWAYS a blessing! You write so well and straight to the heart! Thank you for using your influence for good and encouraging women like me! With each message your words stir something in my heart and mind and I know I am changing. I am finding my way, slow but sure. Writing well was a dream I carried in me for so long and I let it go, because the tools and the opportunity once given to seemed hard and confusing and was’nt real help in my eyes, I thought it was a waste of money and couldn’t keep on spending that money every month when thing were so tight. So I with my eyes wide open shut that door with a bang! There was no one in my life who ever encouraged me, this was my dream and my struggle to get a good story out of me and put it on paper. It’s been a while but Bonnie your words do something in me that makes me want to begin again, your words stir that dream in me to write again. I am journaling again for starters. Thanks again Bonnie, kindreds at heart ? 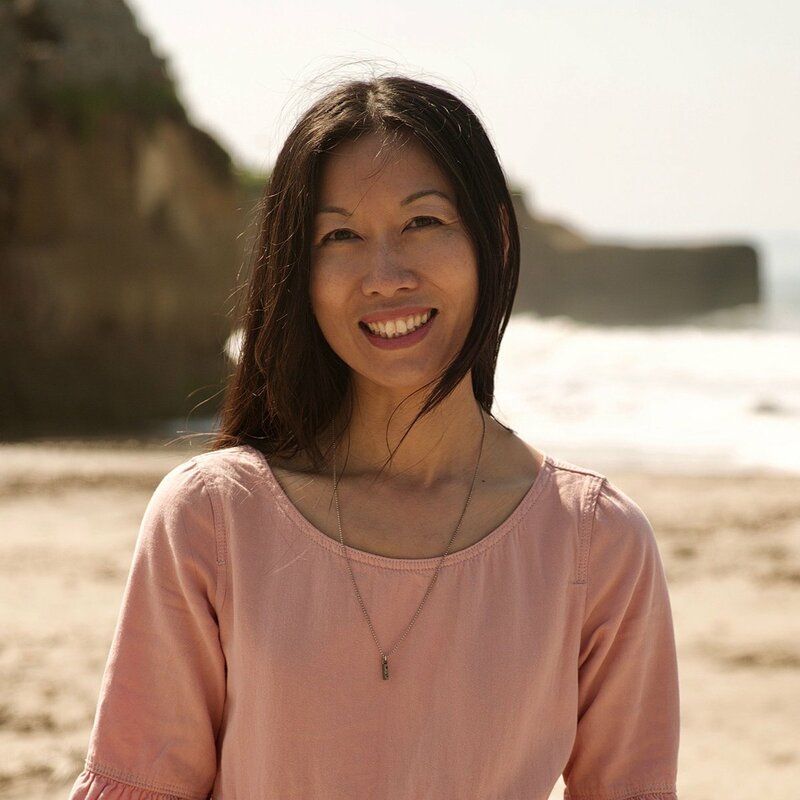 I grew up feeling I was a “bother” and a “mess” in a perfectionistic, fast-paced, goal-oriented household. I loved observing the world around me and pondered the meaning of everything, wanting to write about it, but never feeling free to do so. carol, have you tried journaling what you observe? it is such a beautiful way to practice spiritual whitespace. Thanks for the reminder, Bonnie, that time is never wasted when it’s spent with Jesus. And that time can look different for each one of us. As a child, I was always creative. I loved to draw…horses were my favorite, followed by trees. I also loved to help my grandmother “design” the clothes she sewed for me. When bell-bottoms became the rage, I only had hand-me-down straight-legged jeans, but I used my creativity to split the seams and sew triangular panels into the legs, making a larger bottom. My grandmother helped me sew tops from the same fabric so that they matched. She sewed out of necessity. It was less expensive than buying ready-made. I learned to sew, and I’m a fair seamstress. I have made many things over the years, mostly home interior stuff. I am not a fashion forward gal, but I have my own style. I still have a sewing machine, and I have this “notion” (pun intended) of re-purposing thrift store finds into new garments. Sometimes, it feels silly and I do not have a dress from, which would certainly help. I keep thinking…maybe one day! ‘Love that verse, Exodus 31:11, you shared. To engage in craftsmanship for God’s glory is a blessing HE has provided. It carries his stamp of approval! And surely our efforts give him pleasure, to see us use his materials in creative ways, just as you experienced pleasure while viewing the seascape painting of your friend. 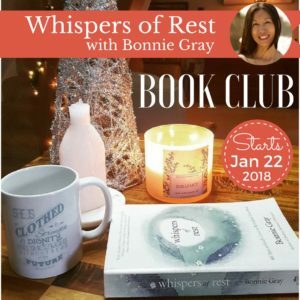 Thank you for reminding us, Bonnie, of the value of crafting–feeding our souls and the souls of others! I’m so sorry you experienced such hurts as a child. I love how you’ve used your scars to help others. I’m eager to read your book. I love your book and I love your posts… they always seem to speak to where I am. You and I had a somewhat similar childhood experience. I am working on a book now myself… about a lifetime of domestic violence. It is hard to write, as I relive the experiences. So I have tried to balance it with more enjoyable pastimes. Yet, there is always the call to doing something more “important.” I hope the mom in the play date went back to painting. I have a very close friend whose mom knew the importance of that and helped her to continue with lessons for all the years her children were young… she is an accomplished artist but still sometimes feels guilty for taking time for herself. Thank you for the reminders you send us all. I purchased your book about a year ago, started reading and put it down for a minute…a long, long minute. I knew I wanted to savor it and I just couldn’t carve out the time to do it justice. I picked it back up about 3 weeks ago and feel like I’ve been given a priceless treasure for my soul and to share with others. I am an a visual artist, so of course the title intrigued me. 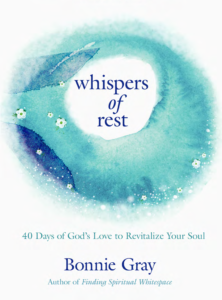 As your life story began to unfold it wasn’t quite what I had anticipated, yet I felt drawn in and captivated by your beautifully written story of love, grace and finding spiritual rest in the midst of dealing with your pain and suffering. The term “spiritual white space” helped me to define what has been a part of my life for quite some time in a way that spoke to my artistic soul. You painted a beautiful portrait of brokenness cradled in the hands of a loving God, then framed it with insightful scripture references, thoughts and prompts so that everyone could see their own story within those hands. My story and upbringing was quite different, but that is unimportant. What is universal is our quest to know and be known by God. To understand the power of His presence within and to live authentically as we learn to embrace our brokenness as a strength and a powerful voice that draws others to God. For me, life had become a five course meal everyday, too much to consume and no time to digest. I felt I was chasing my days instead of living them. I went to school late in life and was enjoying a part-time job as a medical assistant in a Dr.s’ office, which I loved despite the long hours. I have 3 grandchildren that I babysit for, 2 daughters, 4 sisters, friends and a church I am involved with. I was painting some, producing paintings for specific church series and painting ‘live’ during worship services, yet I felt I was suppose to be doing something more with my art and writing. Whether it was a calling or a desire I was not sure, but like my first effort at reading your book, I didn’t have the time to pursue the answer, I just knew my soul was starving creatively for a few years. Long story short. I quit my job, to everyones surprise, stating that I wanted to pursue what I felt God had been laying on my heart…to write about art/faith and paint. It felt frivolous and fabulous, then frightening! I realized very quickly that freeing up the time, which was hard enough to do, turned out to be the easy part. Art and writing ideas didn’t just bubble up to the top and pour out me like I thought they would. I wasn’t carried away into another world like I envisioned now that I had the time. What I realized was that having the time just made me more available….for others and more worthy causes than my own selfish pursuits. I’m learning that I have to be intentional in the pursuit, that it’s okay to say “no” even to grandkids and that I need to schedule time to be creative, which looks like nothing to most people and protect it as one of the most valuable times I could spend with Christ. Dear Jodi, thank you for sharing such a beautiful story about how you and God are writing the story of you .. with him. It’s real because it involves time and I can see how you’re hearing God’s whispers and allowing your heart to follow. 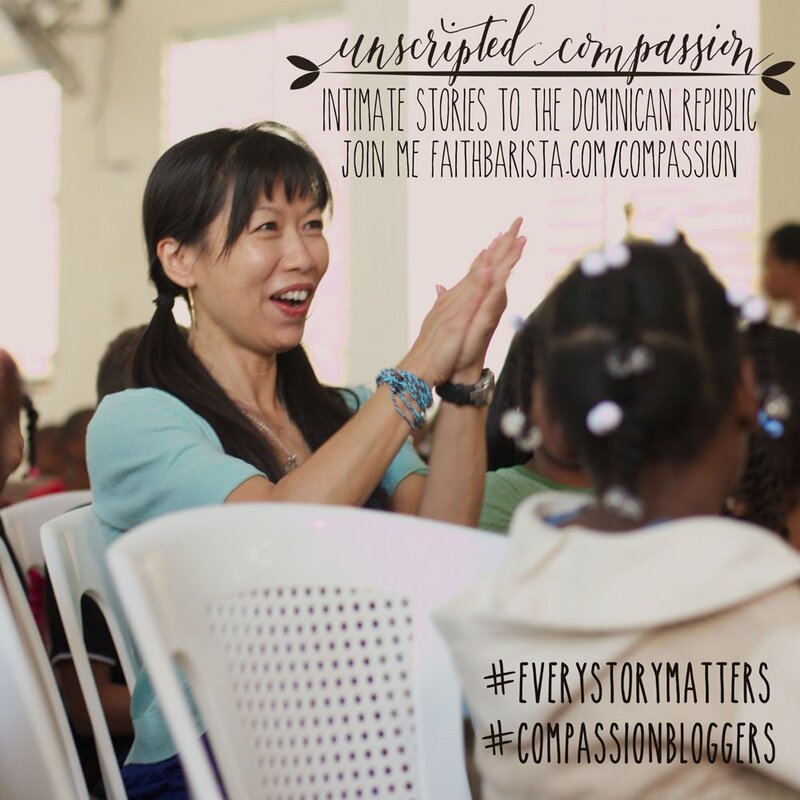 I feel so blessed that my words can be part of your journey, as a companion – a sojourner. Continue to give yourself permission to be who God created you to be — and to be protective of that – it’s God loving you as His little girl, His beloved. And it’s a beautiful thing that you are alive and glowing — which will flow to your family… in ways that go beyond meeting other’s expectations. You’re nurturing your soul and that is God-glorifying because He is in YOU, expressing Himself through your art.